Cigars on 6th is a Denver cigar shop, proud to operate in this excellent city. 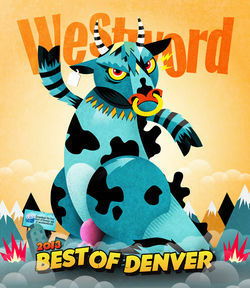 Denver’s history spans the extremes of Old West rough-and-tumble to its contemporary growth as a major urban center, and this history is mirrored in our restaurants and bars. Even though the city is changing, maybe now so than ever before, we like to remember that there are pieces of the old still hanging on. Because Prohibition forced bars to close, many establishments either opened or reopened right after Prohibition ended in 1933. Here are five Denver bars that have been open since 1950 or before. Don’s is a favorite because it is just a couple doors down from Cigars on 6th. It’s easy to spend time going back and forth between our cigar shop and Don’s, enjoying a couple drinks and a cigar. Don’s still has that old dive-bar feel, which makes it a comfortable spot to sit at the bar and enjoy a drink without all the pretentiousness you might experience at one of Denver’s newer bars. Speaking of pretentious, when the Cruise Room (located in the Oxford Hotel downtown) reopened in 1933, they had remodeled it in an incredibly modern Art Deco style, which it retains today. While the drinks are more expensive, and parking is much more difficult than at Don’s, the bar is like a time capsule of the 1930s. Get there early, enjoy an expensive martini, look around and remember that what you’re seeing is almost exactly what people in the 1930s were looking at. My Brother’s Bar is Denver’s oldest bar, located in a part of town that every real estate developer is drooling over now. Sandwiched between the giant REI, which used to house a powerhouse that ran the city’s now defunct rail car system, and an enormous block of condos built in the early 2000s, My Brother’s Bar clings to its down-to-earth vibe as a great place to get a burger and a beer, and escape the rampant development in the city. Plus, you might see Jack Kerouac’s ghost sipping a whiskey at the bar. 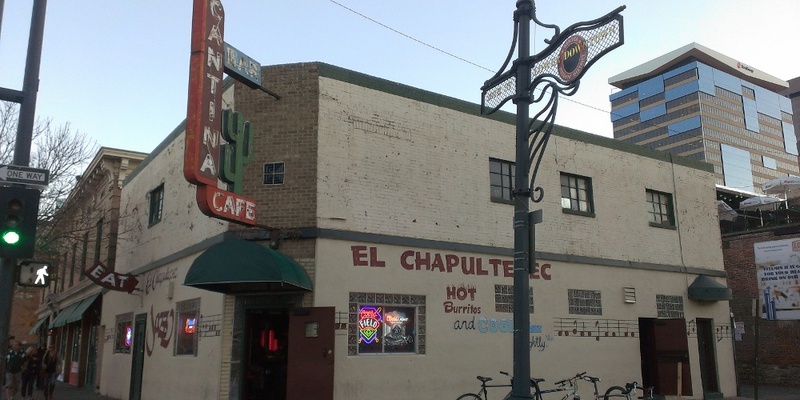 Another classic institution that we desperately want to remain, El Chapultepec is a jazz club and Mexican restaurant located in the heart of LoDo / the Ball Park neighborhood. Even if you don’t like jazz, the El Chapultepec experience is worth it. Order a burrito smothered in green chile, then cram yourself into the bar and watch the musicians play the same way they would have when the bar opened right after Prohibition ended. Instead of hitting one of the new bars after seeing a ball game, check out El Chapultepec and support one of Denver’s oldest – and coolest – bars. Charlie Brown’s was another favorite of the Beat Poets, and Allen Ginsburg supposedly stayed at its hotel in the 1950s. While the bar gets mixed reviews, we think it’s a great place in either the summer or the winter. In the summer you can sit out on the large patio and enjoy Denver’s cool summer nights, and in the winter you can huddle around the piano and sing songs with the ancient piano player. The bar also has a pretty good food menu, so you can grab a full meal or just some fries to snack on.